While typing this I'm trying not to think how little time there is left of this year! It feels like the sand in the hourglass is running out quicker and quicker each year, and sometime in the future December is going to be following Easter! Anyway, on to my favourites for the past month! 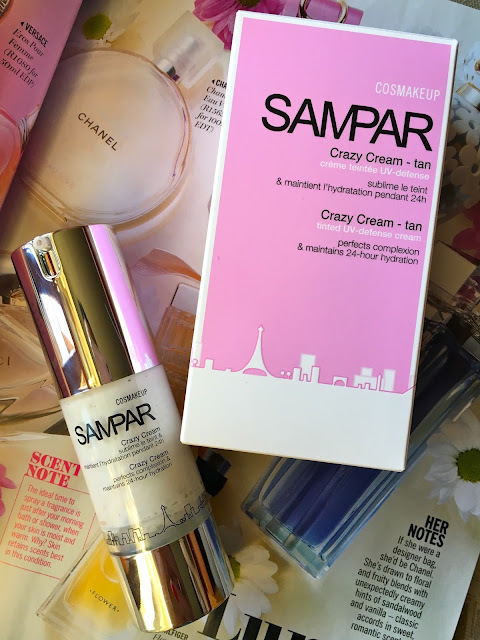 I spoke about Sampar's Crazy Cream here. Although it's a bit of a weird product in terms of where in your skincare/makeup routine to use it, I've really been getting into it these past few weeks. It adds a nice glow and a burst of hydration to the skin and makes everything I put on top just look that much better. Max Factor Creme Puff blush in "Lovely pink"
I was so excited when these were finally available! Unfortunately we only get four of the shades and I picked up two. My favourite is "Lovely pink" which is a light warm pink with a bit of shimmer running through it. The blushes are small and compact and you can throw them in your bag without worrying that they'll suddenly open. The colour also makes me look awake and healthy, which is never a bad thing. I received this sample when I attended the opening of the Benefit counter in Menlyn. The wand is curved and separates and lengthens my lashes nicely. 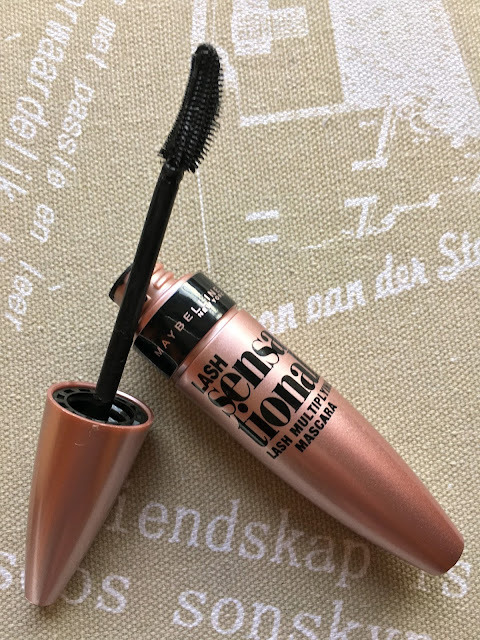 I find that this is also one of the only mascaras that I can use on my bottom lashes, win! Morgan Taylor nail polish in "Lip service"
I once had this colour painted on my toenails when I went for a pedicure and I fell in love. I finally bought a bottle and it's been on my toenails ever since. It's a gorgeous bubblegum pink, perfect for summer! The formula is also what you would expect from Morgan Taylor polishes: creamy, opaque, and long lasting. This has to be my favourite combo of the moment: mixing The Body Shop's Japanese Camellia body butter with a few drops of Polynesian Monoi radiance oil before slapping it on my skin. The Japanese Camellia body butter is air light and sinks into the skin beautifully without leaving any sort of tackiness. The smell is absolutely incredible without being overpowering. The Polynesian oil can be used on anything from the face to the hair, and also smells incredible. The two mixed together gives the skin a slight sheen but without stickiness, and smells delicious. What were your favourites for the month? Let me know in the comment section! 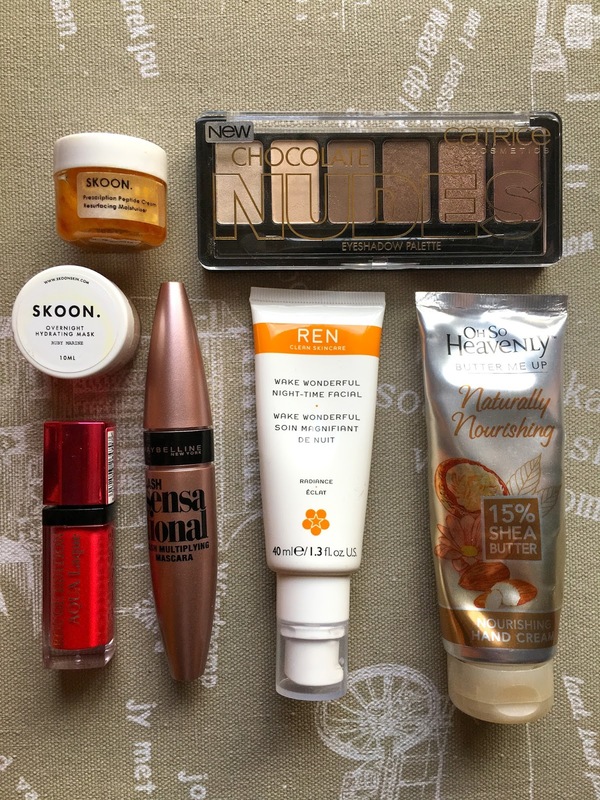 I thought I'd do an empties post today, seeing as I have a lot of them lying around. You know those times when everything feels like it's being finished at the same time? Well I think that time's come for me! Today's post will focus on body scrubs. I was quite surprised to see how many empty body scrub containers I have accumulated, but I suppose that just means I like to exfoliate! 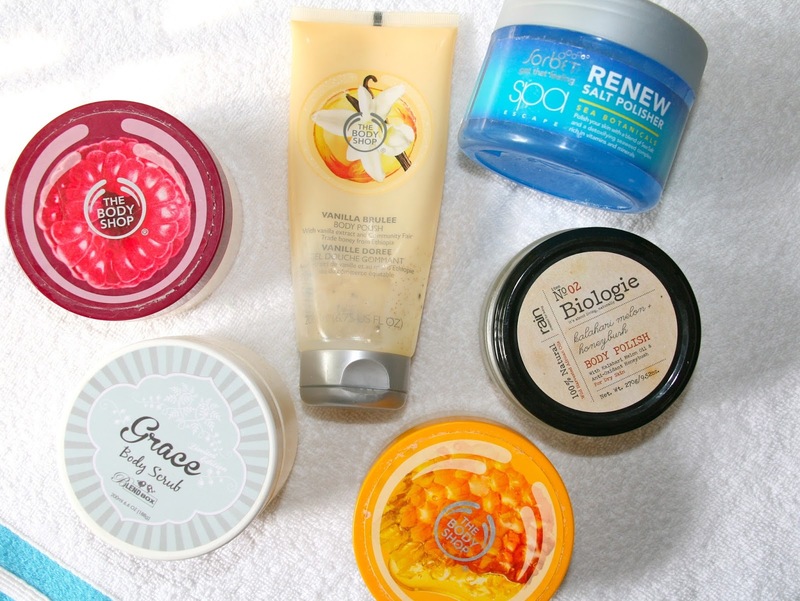 The Body Shop really do make some of the best body scrubs and as you can see, they are my favourites. The Early-harvest Raspberry body scrub looks and smells like raspberry jam. It's a juicy plum-coloured scrub with an almost jelly-like consistency. It contains raspberry pips and it's a nice and gentle scrub. The smell is simply amazing and I will definitely be repurchasing this if I can find it (I believe it to be limited edition). The Vanilla Brulee body polish is another limited edition Christmas product, oops. It comes in a tube and is a thick, slightly gritty, cream. It's a pale yellow colour and reminds me of vanilla custard, hmmm! It has a deliciously warm and comforting scent and it polishes the skin nicely. I will repurchase this if I can find it again, although it doesn't seem to be in stores this year. The Honeymania body scrub is the same consistency as the vanilla one: it looks like a body butter, but it has a slight grit to it. It smells like honey and wildflowers and isn't sickly sweet at all. It's a lovely comforting smell and the scrub leaves your skin silky smooth without turning it red. Another brand whose body scrubs I love is local company Sorbet. I received the Sorbet Renew Salt Polisher from the Spa Escape range as part of a gift and I was smitten. I can't even begin to explain the scent. Due to the colour of the packaging I thought it would have a marine scent, but instead it has a slightly sweet spa scent. It's incredible and I can't keep my nose out of the tub! As the name suggests it's a salt scrub which means it's very scrubby, but the oil added to the body scrub keeps it from being abrasive. In fact, after a body scrubbing session you might get away with not applying a body lotion afterwards. I will definitely buy another one of these. Two honourable mentions go to another two local brands: Blendbox and Rain. The Blendbox Grace Body Scrub smells just as amazing as the Sorbet scrub: a little bit like cream soda, a little bit like sour jelly sweets, and a little bit like a spa. It's also a salt and oil scrub so it removes all the dead skin cells as well as moisturising your skin. It's a lovely product and I can highly recommend it. 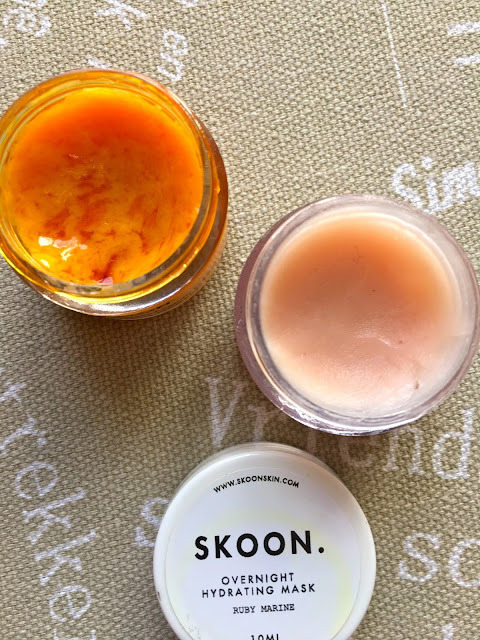 The Rain Biologie Kalahari Melon & Honeybush body polish is a seductive blend of local ingredients. It's also an oil-based scrub so it leaves your skin beautifully polished and moisturised. It smells like Rooibos tea and honey and wild flowers. It's an amazing product and also one I would recommend. That was it for my body scrubs! Looking back I realise that I loved them all equally and my preference only depends on the ease of availability and price: The Body Shop might be a bit more expensive than the rest, but there's a store in every large mall and they always have sales! Which body scrubs would you recommend I try? Come on, enable me. 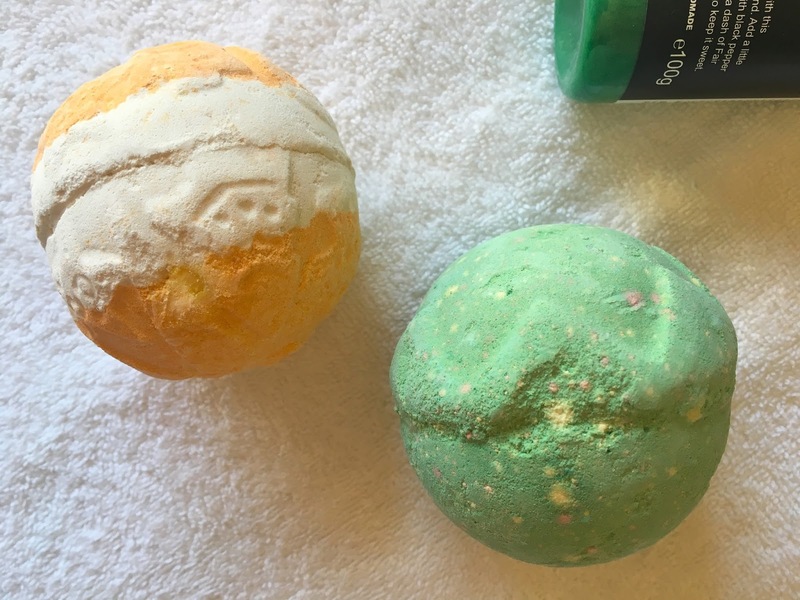 I love am obsessed with Lush, but I find their products very expensive so I tend to only buy items from the limited edition collections a few times a year. I then save these items and enjoy them throughout the rest of the year. This past weekend I went to the new Lush store in Rosebank, Johannesburg, and I picked up a few Christmas goodies. On a side-note: every major area in South Africa now seems to have at least one Lush store. Cape Town has three, Durban has at least one, Johannesburg has two, and I heard that Pretoria will be getting one very very soon. Fingers crossed and wallets tucked away! 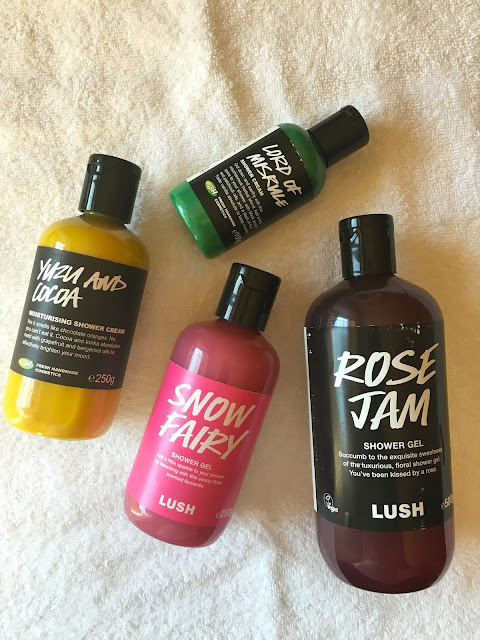 As someone who only takes baths in the dead of winter, I'm much more attracted to Lush's shower gel offerings (as you can see from my obscene number of shower gels). Rose Jam is a favourite that I discovered last year and I just had to get the biggest bottle there is. It contains organic Turkish rose (rose oil and rose absolute), sweet Fair Trade vanilla, and argan oil, so it leaves your skin super soft although the shower gel itself doesn't feel creamy. It smells like roses and Turkish Delight, but it's not sickly sweet. I adore the smell and I have to try hard not to lick the bottle. Snow Fairy is another favourite and this will be my third bottle (I'm currently still working my way through a large bottle that I purchased last year). This is a much "younger" fragrance in the sense that it's very pink and smells very sweet (it smells like raspberry cooldrink). It contains carrageenan seaweed extract to soften the skin. The Yuzu And Cocoa shower cream is the brightest and the first yellow shower cream I have ever owned. It contains fresh yuzu juice (a type of Asian citrus), cocoa and tonka absolutes, as well as grapefruit and bergamot oils. It really does smell like chocolate oranges, and although I don't like the combination of chocolates and oranges, this does smell simply divine. It's a very runny consistency for a shower cream, which I learned the hard way. The last shower cream is the only one that I have a matching bath bomb of: Lord of Misrule. This bright Christmassy green (slightly shimmery) shower cream smells exactly like the bath bomb. It contains wheatgerm oil (excellent for moisturising), black pepper, patchouli oils, and Fair Trade vanilla absolute. The scent is difficult to describe, but it's herby and spicy, and the vanilla definitely cuts through the spiciness and makes it absolutely incredible. First up is the Yog Nog bath ballistic. Oh my goodness... I've heard people sing the praises of the Yog Nog soap, and this apparently smells exactly the same. It smells like toffee with a hint of spiciness. It contains clove bud oil, ylang ylang oil, cocoa powder, and Christmas spices. I can't keep my nose out of the packet and I can't wait to dive into a bath with this toffee ball! The other bath bomb I bought is the Lord of Misrule. As mentioned earlier in the post, the bath bomb and the shower cream smell the same, and I think it will be a nice combo to use together in the bath. This is one of my favourite scents from the Christmas collection. 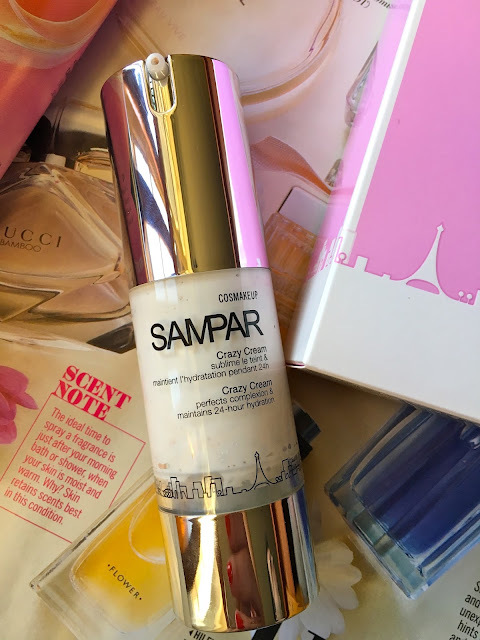 Ever since SAMPAR landed on our shores I have been intrigued by their products and the classy pink and white packaging, so I was delighted when they sent me their latest "Cosmakeup" product. "Cosmakeup" can be described as makeup that serves a dual purpose: it offers immediate visible results as well as long term clinically proven efficiency. SAMPAR achieves this "double action" promise by enriching their formulas with a complex they call "Urban Advance". This is a powerful anti-pollution shield that kickstarts the skin's vital functions and boosts the performance of SAMPAR's ingredients. Crazy Cream is described as the "ideal fusion of comfort and technology". It's a perfecting tinted moisturiser that comes out whitish-grey and adapts to your skin tone. Your complexion is evened out and hydrated for 24 hours. I can't comment on the last fact because I don't think I've ever gone 24 hours without washing my face! The Crazy Cream also stimulates the skin's protection against photo-ageing UV rays. Your skin is left radiant, glowing, and perfectly even-toned. The crazy cream is to be applied in the morning after your usual skincare routine (moisturiser included). You can apply it alone for a natural look or as a base for your makeup. I find it to be an excellent base for makeup, but that it doesn't provide enough coverage to be used on its own. 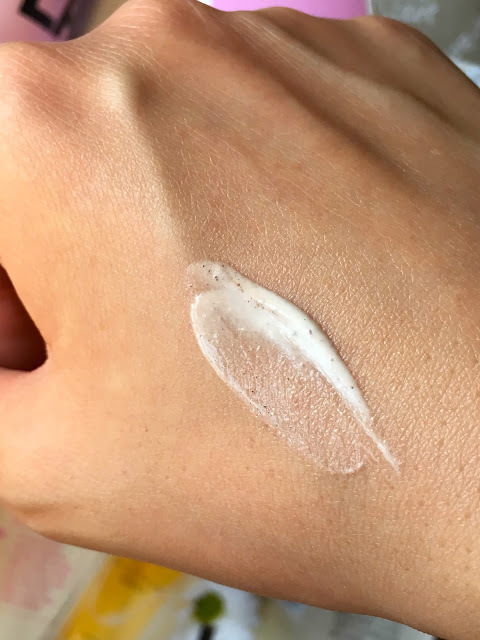 The product comes in a beautiful clear and silver pump bottle, but I would have liked the bottle to have a lid or some sort of stopping mechanism, because with my luck something in my travel bag will press on the top and squirt the Crazy Cream everywhere. All in all I think it's a really lovely product and that it definitely deserves a place in my makeup bag! SAMPAR products are sold at certain Woolworths stores. According to their Facebook page these stores are: Cavendish, V&A, Tyger Valley, Blue Route, Canal Walk, Westville, East Gate, Mall of the South, and Mall of the North. It seems that, no matter in which part of South Africa you find yourself, there is intense heat and no rain. Not only are we at the start of summer, but with the current drought there is no summer rain to cool us down. I wanted to make the title of this post something along the lines of "Tips for surviving summer", but that would entail drinking lots of water, taking cool showers, and splashing in the pool, all things you need a lot of water for. So instead I'm focussing on skincare products to see you through summer. I've spoken about this before and I think it's absolutely perfect for the South African summer. You get a BB cream with an SPF of 50 in one product, what could be greater? The texture of the BB cream is velvety smooth and blends beautifully into the skin. It doesn't just sit on the skin like some products do, and adds a lovely glow to the skin. It doesn't offer a lot of coverage in terms of blemishes, so you might need a bit of concealer afterwards. It has serious staying power and doesn't break me out. I use this as a toner, to wet my makeup sponge, and to cool myself down during the day. It has become an absolute godsend. It yields a fine mist of mineral-rich water that hydrates the skin and I'm obsessed. This was probably the first facial mist I ever owned and I still always have a bottle on hand. The mist is fine and it has a lovely rose scent. I suppose it doesn't even begin to compare with the thermal waters, but I still love it for a quick refresh in the afternoons. My lips get disastrously dry during summer and I can't stand all the flaking and peeling. This covers my lips in a nice thick layer of moisture and soothes my flakey lips. The texture might be a bit too heavy for some people during the hot summer, but I slap on anything that helps my lips. I have to admit, I'm not the most diligent when it comes to applying sunblock. I tend to only apply it if I know I'm going to have an outdoorsy day, oops. That being said, no more excuses with this little travel friendly guy! It's small enough to fit into a handbag or even your pocket (not skinny jeans, but I anyway hope that you won't be wearing skinny jeans in this weather) and there's enough product for a couple of applications. What are your summertime essentials? Let me know in the comment section! I feel like I haven't done an Empties post in forever. That being said, I have a big pile of empties under my bed, so expect these types of posts more regularly! 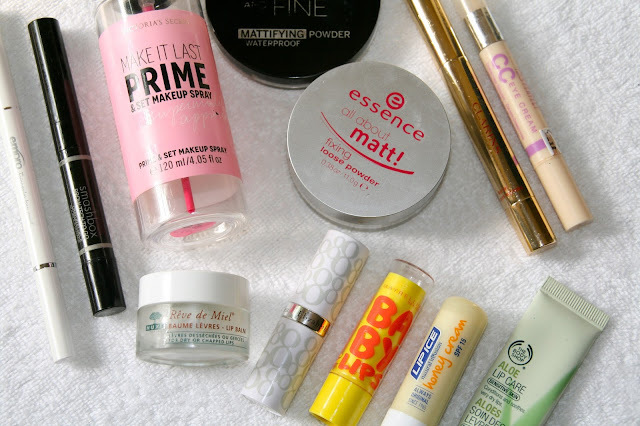 Today's post is solely on makeup products that I've finished. The Victoria Secret Make It Last Primer & Set Makeup Spray featured in my monthly favourites back in March (you can read it here). It's a colourless liquid in a spray bottle with a fine nozzle that can be used as a primer as well as a setting spray. I have used it as both, but I prefer to use it as a setting spray or to dampen my beauty sponge as I normally use different products to prime my skin. It's not the cheapest setting spray, but at R190 it's also not the most expensive. The 120 ml bottle will last you quite a while. I really enjoyed using this and I've already bought a second one. The essence All About Matt! loose powder has been a staple in my beauty routine for quite a while. The powder is super fine and doesn't look cakey, but it's a pain to travel with. I also think this has been discontinued as I haven't seen it in store for ages. I did manage to pick up another one somewhere in a sale bin, but I think this is it for the loose powder. The Catrice Prime and Fine Mattifying Powder is a slightly larger but much flatter compact (and it has a mirror!). It's a pressed powder which means you can throw it in your handbag without worrying about a cloud of dust if it spills. I bought a few Bourjois pressed powders which I want to use up first, but for the price point (around R90) I will definitely be repurchasing the Catrice powder. The Bourjois CC Eye Cream in "23 Golden Beige" is a CC cream for your under eye area: it brightens and evens out the skin tone. Instead of the usual brush it has a silicon tip and a twist-up end that dispenses the right amount of product. It's a lovely product and lasts a long time. 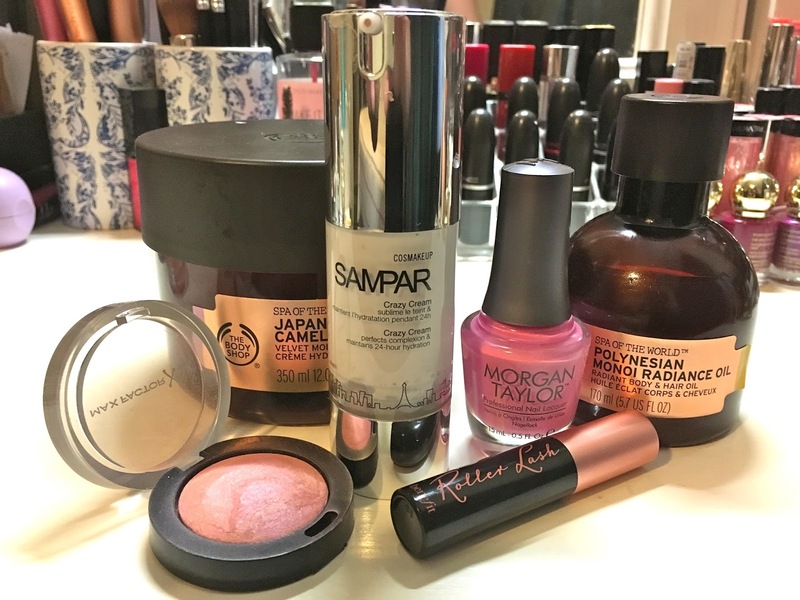 I haven't repurchased this as I am trying out a few other things, but I definitely will repurchase it! The Clarins Instant Light Brush-On Perfector is Clarins' answer to the YSL Touche Eclat. It comes in the most beautiful gold packaging with a twist-up end and a brush. I have it in the shade 02 which is the perfect shade for me. I love using it under my eyes, in the inner corner of my eyes, and everywhere else I would like a bit of highlighting. This is an amazing product and I will definitely be repurchasing it. 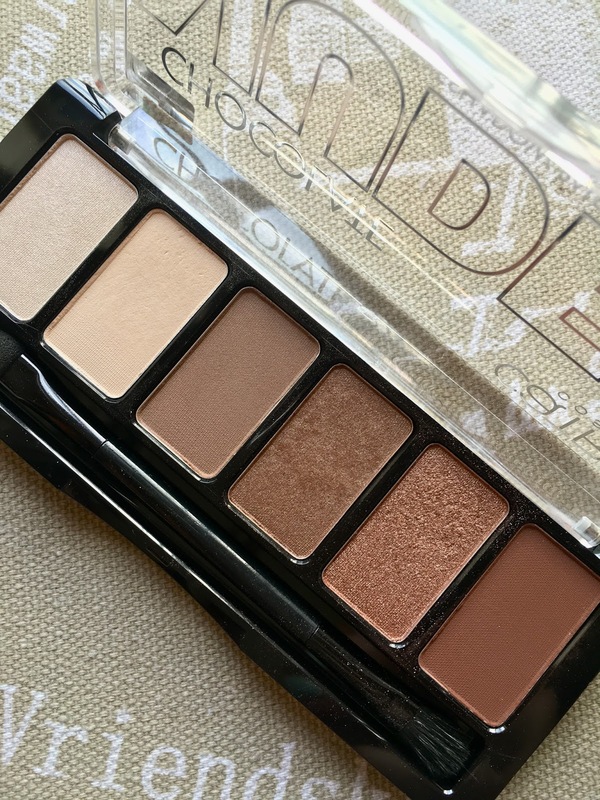 I have been through quite a few of the Smashbox Brow Tech To Go eyebrow pencils but had to find an alternative as it became almost impossible to find my shade (Taupe) anywhere! The product contains a twist up pencil on one end and a spoolie with brow gel on the other end. It's a two-in-one product that makes doing your eyebrows a breeze. When I run out of my current eyebrow products, and my shade is in stock again, I will definitely be repurchasing. While I was between Brow Tech To Go's, I tried the Empro Triangular Brow Pencil. It has a twist-up pencil on one end and a rather large spoolie on the other side. I struggled to use the pencil as you had to press really hard to make any sort of mark. The colour also came out quite uneven. I won't be repurchasing this. In this empties post I have a whopping five lip empties, but if you know how religiously I apply lip balm, you'll know that this isn't a lot! The Nuxe Rêve de Miel is a cult classic and it's easy to understand why: classy glass jar, French product, thick rich balm. This lip balm is a thick yellow colour and the texture is at times slightly grainy. It smells almost citrussy with a hint of honey and it soothes the most dry and chapped lips. At R150 it's quite a pricey lip balm, but believe me, it goes far. I apply this every single night before I go to bed and this jar lasted me just over a year. Cost per use is pretty fair, I'd say. I have already purchased a second jar and am still using it every night. 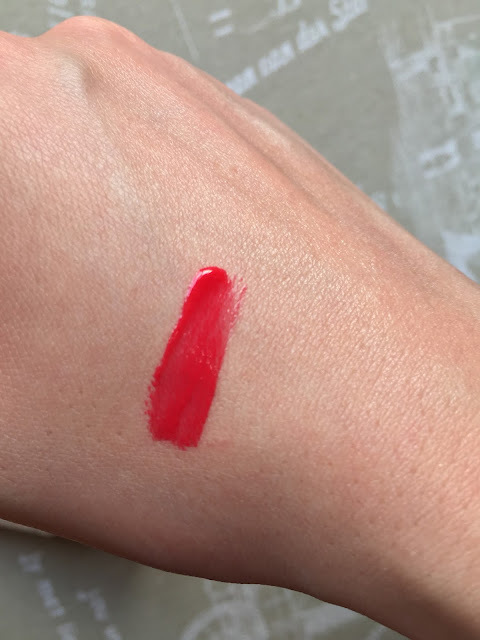 Another favourite is the Elizabeth Arden Eight Hour Cream Lip Protectant Stick. It's basically the much-loved eight hour cream in smooth stick form. You apply it as you would a lipstick, and I liked applying it when I start doing my makeup, so that when I need to apply lipstick my lips are nicely hydrated. The only problem with this is how quickly you go through it... It lasted only a month or two and I remember it being quite expensive. The Lip Ice Natural Infusion Honey Cream lip balm had a lovely creamy honey scent, but I didn't enjoy the feeling it left on my lips. I like lip balms melting into my lips, but this felt like it just sat on top of my lips. It also felt like, the more I applied it, the more I had to apply it. I won't be repurchasing this. The last product for this month is one of the Maybelline Baby Lips lip balms ("Intense care"). I have to be honest, the colourful packaging drew me in! It has a subtle smell and I found that it moisturised my lips better than the Lip Ice, but not as well as the others mentioned here. I probably won't be repurchasing this, I'd rather try some of the other variants in the range. This past month flew by and I have quite a lot of favourites to show you! There are some skincare bits, makeup bits, and a hand product. Let's get cracking, shall we? Two of the samples I received from SKOON. skincare for my facial analysis (you can read my first impressions here) made it into my favourites for this month. I am loving the bright orange Peptide Resurfacing Cream as well as the Overnight Hydrating Mask (Ruby Marine). The Peptide cream really brightens my skin overnight, and the hydrating mask keeps everything gloriously moisturised and plumped. I've spoken about the REN Wake Wonderful Night-Time Facial* here, and I've been using it religiously twice a week since I've received it. It brightens and smoothes my skin and I absolutely love the effects. It also has to be said that the combination of all of these products have really shaken my skin back to life, so to speak. I have more eyeshadow palettes than I dare to count, but this little palette stole my heart in the month of October. For about R90 you get six buttery shades ranging from a pearly white highlighter to a deliciously dark and warm chocolate brown. There are three matte shades and three shimmers. The texture is smooth and buttery and they blend easily. Colour payoff is good and they last well with a primer. The two shimmery brown shades to the right of the palette are my favourites, and some days I wore just one of these two on my eyelids, with no fallout or chunky glitter. For the past few weeks I've been trying out a couple of new drugstore mascaras, and so far this is the one I've liked the most. The Maybelline Lash Sensational Lash Multiplying Mascara has a curved plastic brush with small bristles. I find that it combs through my long lashes and separates them nicely. It also doesn't clump at all. There is a bit of transfer on my brow bone, but I can live with that. All in all a very nice, pitch black mascara. 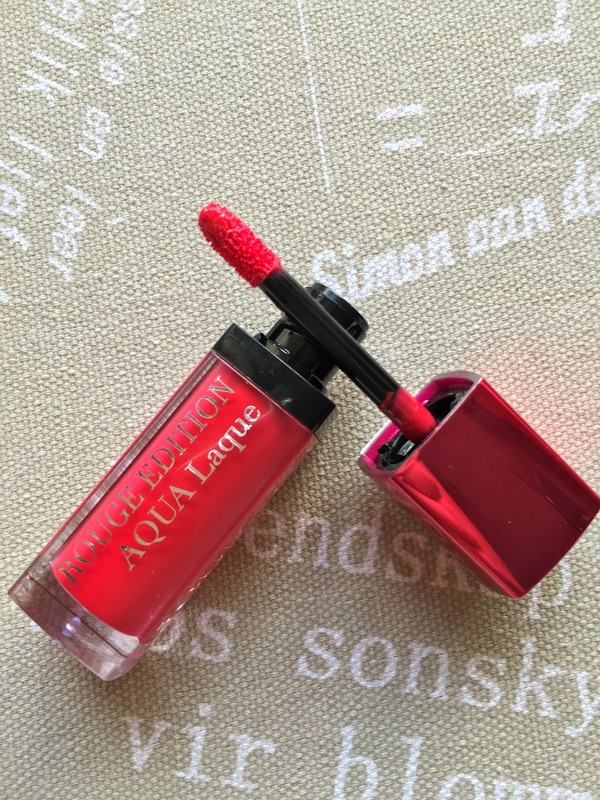 I have been stalking the Bourjois counter at my closest Clicks for weeks to get my hands on the new Rouge Edition Aqua Laque liquid lipstick. I love the velvet matte version (you can read about it here) and this is a similar product but only glossy and more liquid-y. I have this in the shade "07 Fucshia perché" which is an amazing warm pinky red. It glides onto my lips easily and is quite cooling. The packaging and the applicator is exactly the same as the matte versions, but the differences are in the shades and the texture of the product. This also slightly dries down, but it's still glossy and comfortable on the lips. It's not smudge proof, but if you're not eating or drinking while wearing it there shouldn't be any reason to fear a lipstick smear on your cheek. The last product in my monthly favourites basket is a hand cream from Clicks. The Oh So Heavenly range is coming out with loads of products at the moment, from skincare to BB creams. 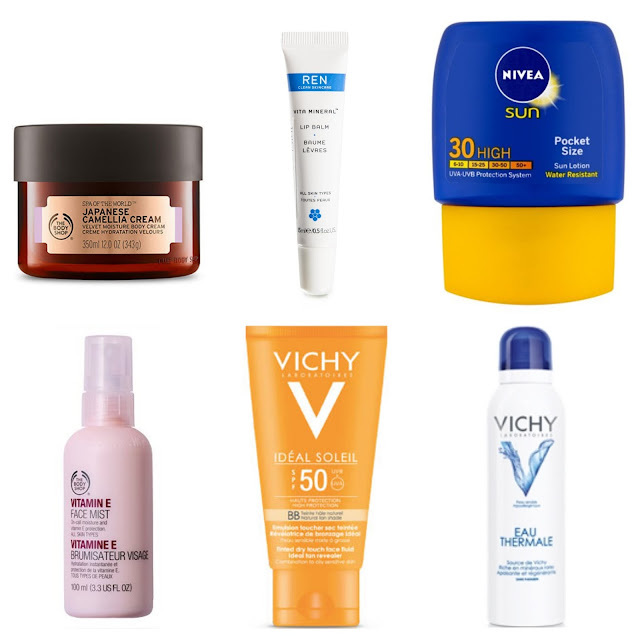 Although I haven't tried out any of these (I do, however, love their bubble balms), I can now vouch for their hand creams. I once saw on Twitter someone raving about how good the hand creams are, so off to Clicks I trundled when mine was finished. There are three variants and I chose the "Naturally Nourishing" hand cream in the Butter Me Up range. The tube looks like a tube of paint, and is small enough to fit in your handbag. The smell is absolutely amazing, it contains 15% shea butter and that is exactly what I smell. The hand cream is a thick pale cream that envelops your hands in a delicious buttery haze. It feels quite rich but after about half a minute there is absolutely no residue left. Your hands are just nourished and happy. That's all for my swoon-festival of today. Which of these products caught your eye? Let me know in the comments section. Labels: Bourjois, Catrice, hand cream, makeup, Maybelline, monthly favourites, Oh So Heavenly, REN, skincare, SKOON.